The Rodolphe Mérieux Laboratory of Bamako (Mali) is recognized by national authorities as a reference laboratory for the diagnosis of Ebola virus disease, Zika virus infection and other diseases. 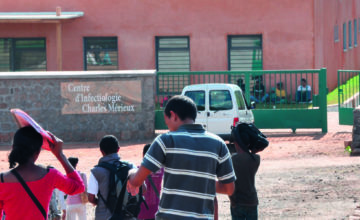 The Rodolphe Mérieux Laboratory of Bamako is a medical laboratory within the Charles Mérieux Center for Infectious Disease in Mali. 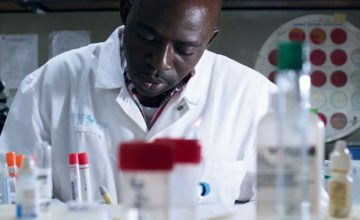 Under the direction of Professor Souleymane Diallo Lassana Timbiné, the laboratory provides a quality diagnostics platform for the local medical and scientific community. It is a member of the GABRIEL network. 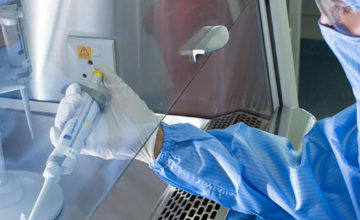 Mali’s Minister of Health and Public Hygiene has recognized the Rodolphe Mérieux Laboratory as a reference laboratory for the diagnosis of Ebola virus disease, Zika virus infection and Lassa fever, as well as the diagnosis of tuberculosis using molecular biology techniques and the monitoring of patients receiving treatment for tuberculosis. The laboratory routinely performs clinical biology tests in bacteriology (mycobacteria), hematology, serology (toxoplasmosis, HIV), parasitology (malaria), biochemistry, and molecular biology (HIV viral load, diagnosis of tuberculosis). 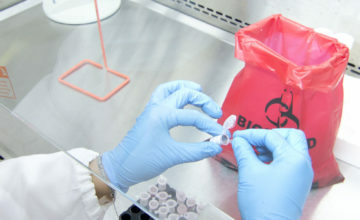 In response to the 2014 Ebola virus disease epidemic in West Africa, the Rodolphe Mérieux Laboratory expanded its diagnostic capabilities in 2015, with the addition of a mobile laboratory (of the EM-Lab type) so that testing for the Ebola virus and other high-risk pathogens can be carried out in remote settings. 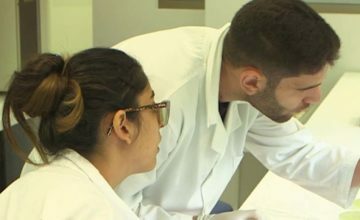 The Rodolphe Mérieux Laboratory has facilities and equipment making it possible to create an applied research unit and to carry out research projects for the GABRIEL network. Research focuses primarily on infectious diseases: tuberculosis, HIV/AIDS, hepatitis B and C, etc. 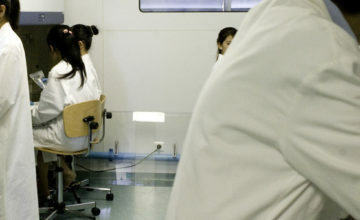 The laboratory has also participated in a pneumonia study, working with the pediatrics department of the Gabriel Touré Teaching Hospital in Bamako, in addition to evaluating patients’ sensitivity to tuberculosis drugs and identifying multidrug-resistant Mycobacterium tuberculosis strains. The Rodolphe Mérieux Laboratory is divided into five units: immunoserology, hematology, biochemistry, microbiology, and molecular biology. It was designed to meet the specifications of the ISO 14644 standard, parts 1 and 4 (“Cleanrooms and Associated Controlled Environments”). 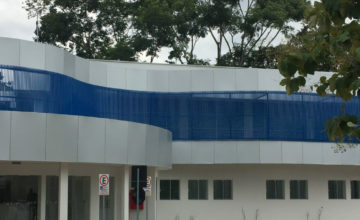 In addition, the Charles Mérieux Center for Infectious Disease is outfitted with several training laboratories and a multimedia library where training classes are held for biologists and laboratory technicians working for medical laboratories. 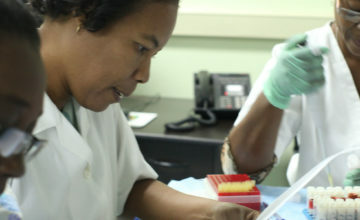 The center also participates in the West African Network of clinical laboratories (RESAOLAB), which includes seven member countries: Benin, Burkina Faso, Guinea, Mali, Niger, Senegal and Togo.